Hey everyone, back again this week with previews for a new series of art I am doing for https://joedichiara.wordpress.com. This week I watched the documentary “Tupac Resurrection”, which is a posthumous film put together by MTV Films and his mother Afeni Shakur. If you haven’t gotten a chance to see this movie I highly recommend it as one of the most well-rounded musician biography flicks of recent years. 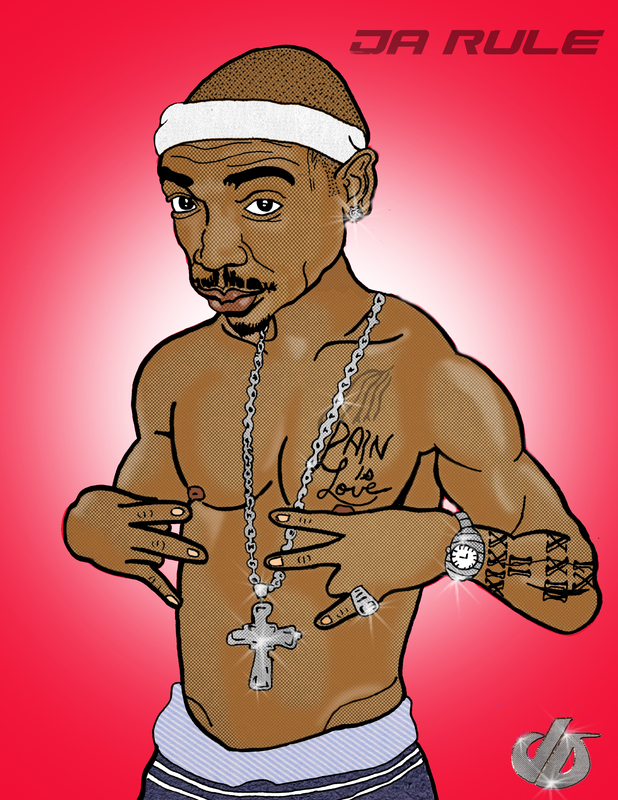 Portions of this film detailed Tupac Shakur’s rap “beef” with east-coast rapper The Notorious B.I.G. With both rappers dead as a assumed result to this “beef” I decided to do a series of illustrations depicting infamous hip-hop “beefs” throughout the last few decades. 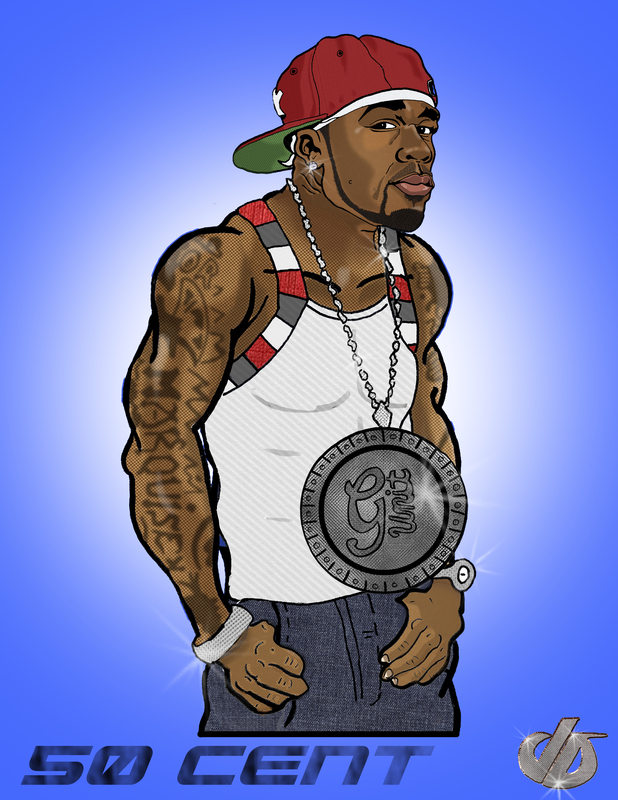 This week I am posting to https://joedichiara.wordpress.com character art from the first set I am working on for “50 Cent vs. Ja Rule”. I will post the final composition next week so be sure to check back! Here is a video that discusses the history of the 50 Cent vs. Ja Rule Beef.